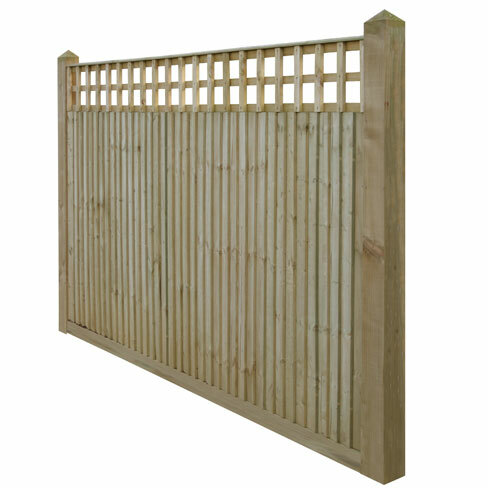 Closeboard fencing with 300mm trellis on top is perfect if you would like the security of a closeboard fence but not as visually intrusive. 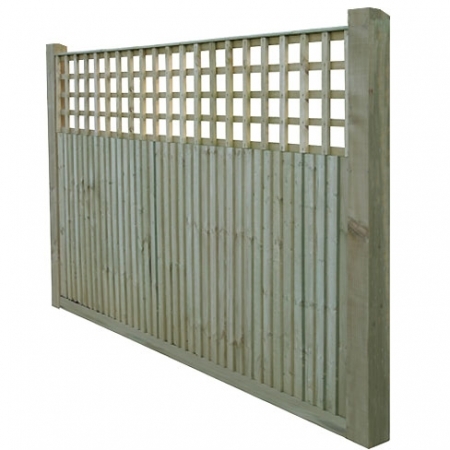 The trellis on top allows light to come through and the ability to grow plants up. 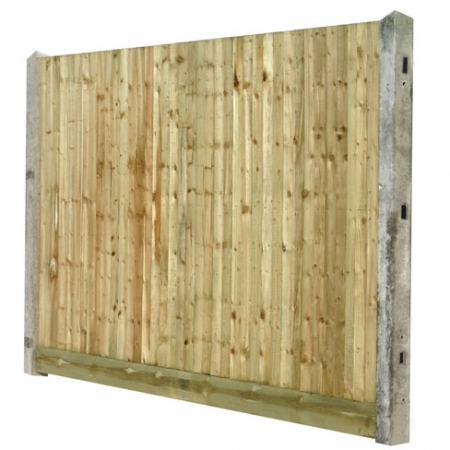 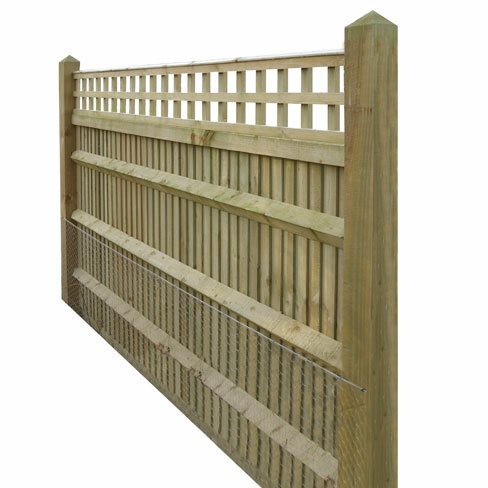 This feather edge fencing option comes with 100mm x 100mm treated softwood posts, back weathered as standard. 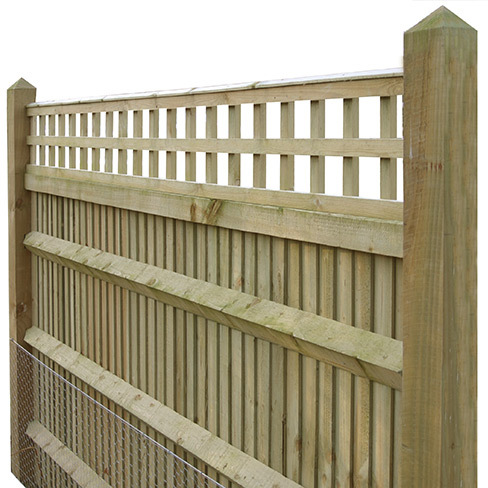 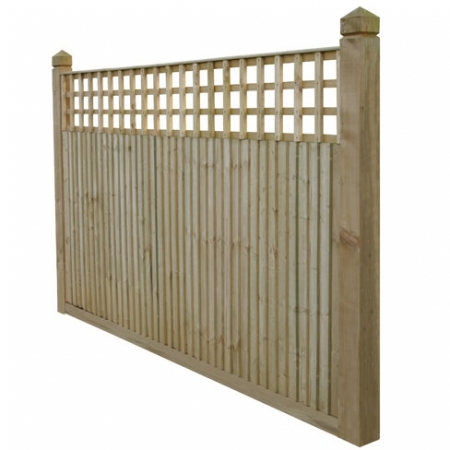 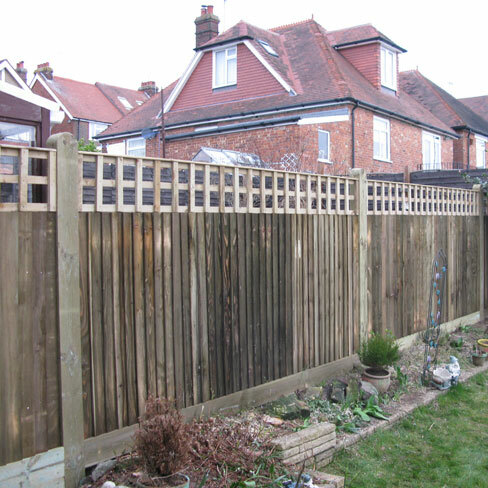 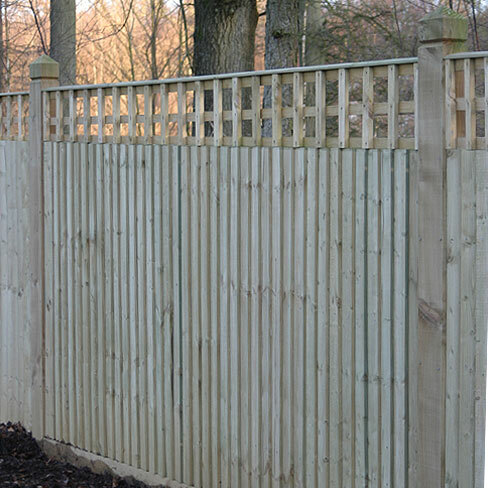 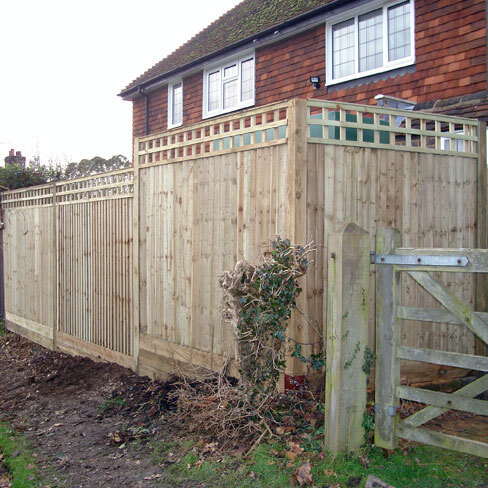 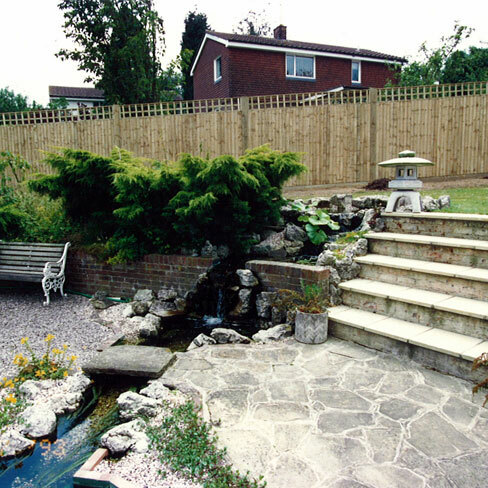 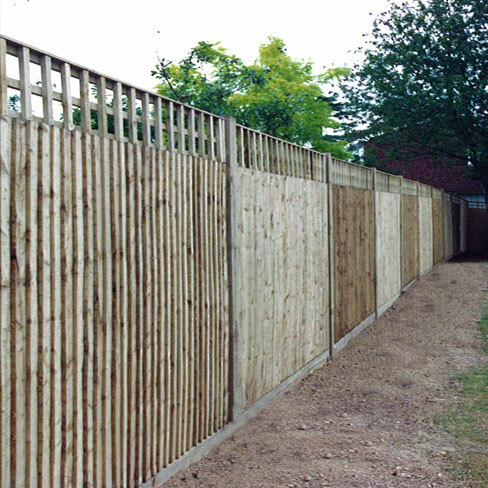 However you can upgrade this closeboard fencing with other post top options available to order, with an extra charge. 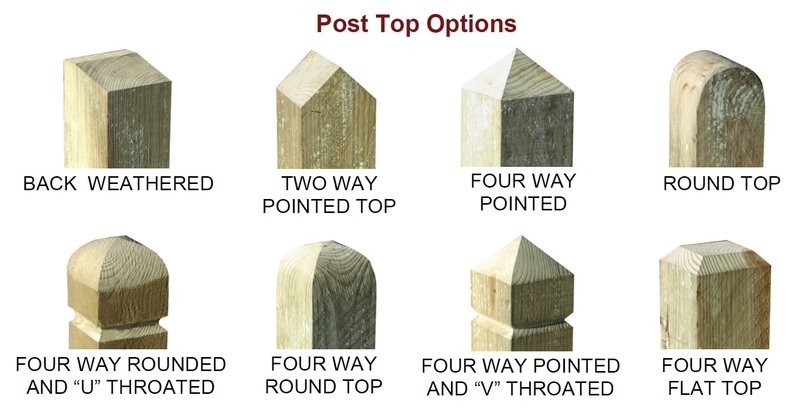 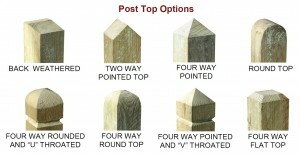 You can also upgrade the posts to 100 x 125mm larger section posts at an extra cost.